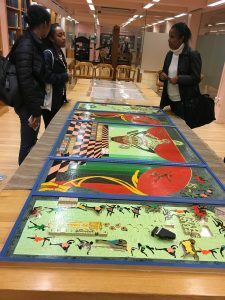 A centerpiece of our exhibition, Arthur Mitchell: Harlem’s Trailblazer, is a dazzling, eight foot long puzzle. 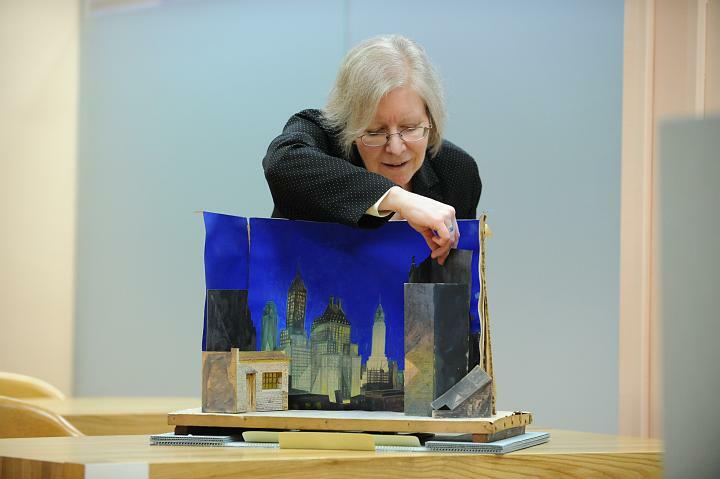 Handcrafted and painted from wood, the puzzle details the DTH’s history, Mitchell’s influence, luminaries who’ve supported the company, landmark performances and homages to ballet casts. 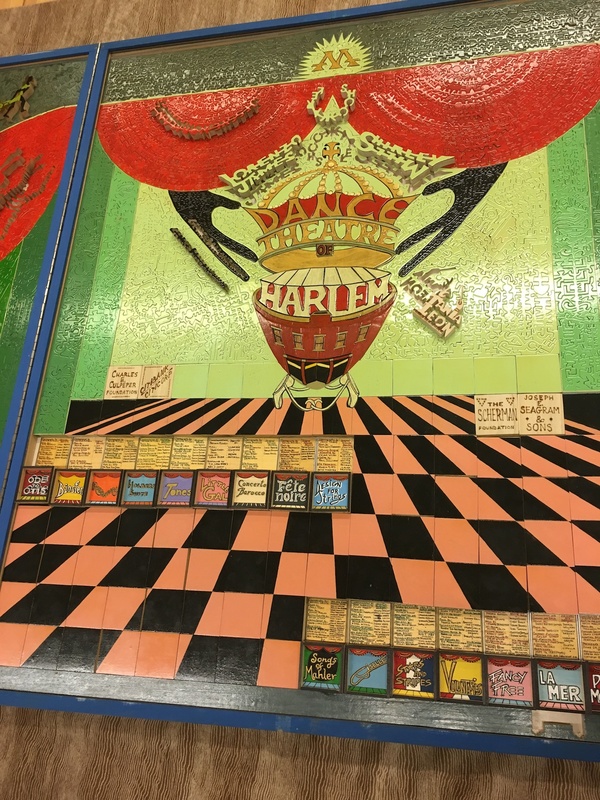 As puzzle maker Frank Bara notes in a video tour of the puzzle, shot a number of years ago, the puzzle celebrates the Dance Theatre of Harlem’s 20th anniversary. He completed it in 1989. Visitors to RBML discuss the Dance Theatre of Harlem finds in this puzzle. 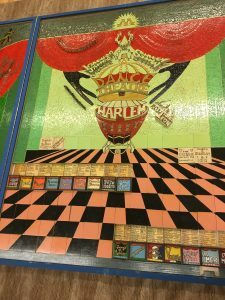 Close up with Frank Bara’s Dance Theatre of Harlem puzzle. In this short video clip, Bara also explains the many “easter eggs” contained in the puzzle, if you’re lucky enough to get up close and personal with it. There’s still time to see the puzzle in the Wallach Gallery at the Lenfest Arts Center. The exhibition runs through March 11th. After that the puzzle goes back into careful storage at the RBML. Don’t miss your chance to see this artistry up close. This entry was posted in Performing Arts Collections and tagged African Americans, African-American History, Arthur Mitchell, dance, Dance Theatre of Harlem on February 23, 2018 by Kimberly Springer.